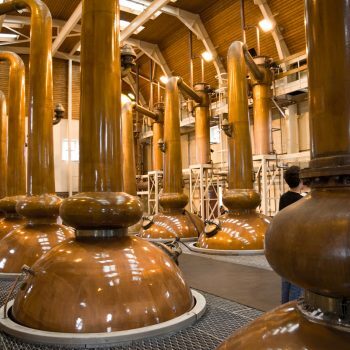 The number of distilleries opening in the UK continued to grow in 2016, with 45 new distilleries opening last year taking the total number to 273. Throughout 2016, 45 new distilleries opened throughout the UK, however five closed, adding 40 new distilleries to the current count. “The rapid growth of distilleries, an increase of 135% since 2010, is yet another positive sign of the UK spirits industry going from strength to strength,” said Miles Beale, chief executive of the Wine and Spirit Trade Association. “From traditional products like Scotch, to the Great British Gin boom and newer products like English and Welsh Whiskey, it is an exciting time for spirits producers across the UK. “Consumers here at home and around the world have developed a real thirst for top quality British spirits, and a new distillery is coming online at the equivalent rate of one per week to rise to that challenge. Beale used the industry’s positive momentum to call for greater attention to the spirits industry by the government as it forges ahead with its plans for Brexit, highlighting the importance of swift and decisive trade deals to maintain its success. 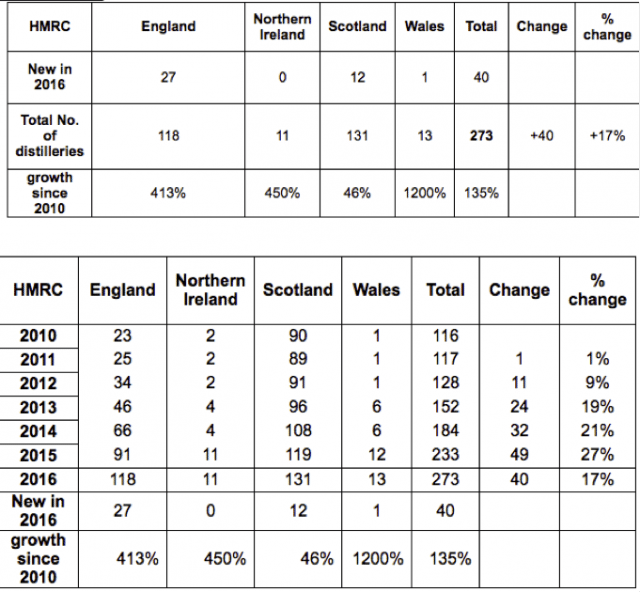 The trade body’s release followed statistics released by UHY Hacker – the national accountancy group – that placed the number of distilleries in the UK slightly higher, representing an increase of 19%, which corroborated an overriding upward trend, but differed slightly to statistics provided by the WSTA, which uses data from the HMRC, as to open a distillery you are required to obtain a licence from HMRC. Overall, UHY Hacker stated that the number of distilleries in the UK had increased by 107% since 2012, due to the rise in popularity of artisan gin. The value of gin sales has increased significantly over recent years, hitting £1.07bn in 2016 and is expected to rise to £1.37bn by 2020. Are the new Distilleries only producing gin. Great to see this surge in home grown production.